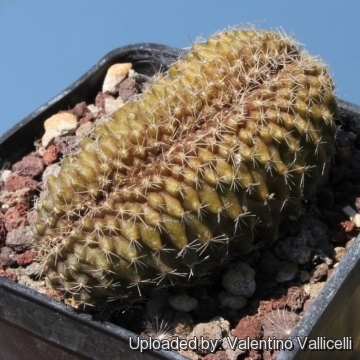 = Copiapoa humilis subs. 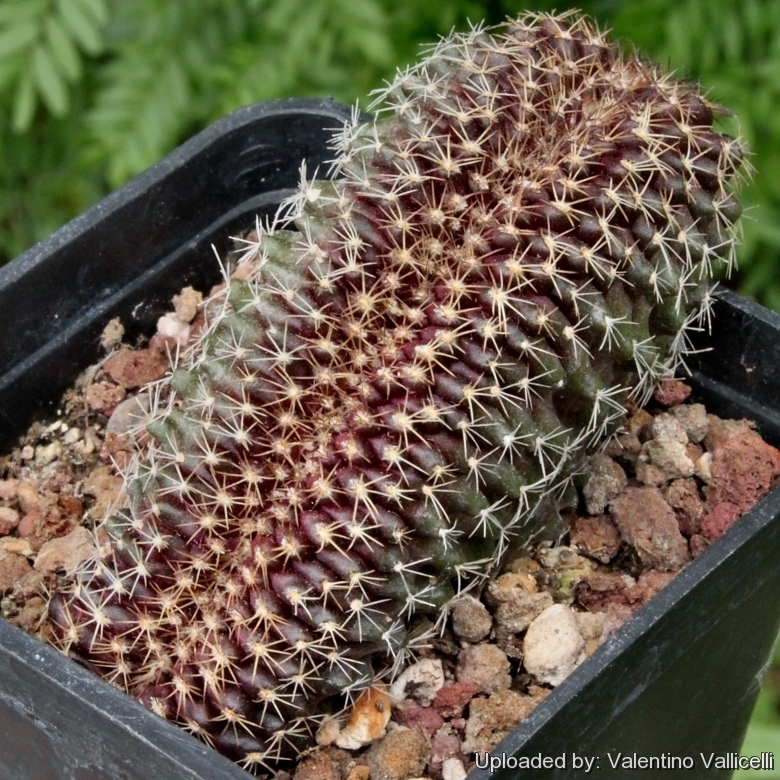 tenuissima f. cristata hort. 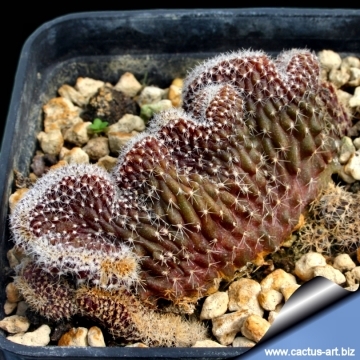 Description: This is the crested clone of Copiapoa tenuissima. 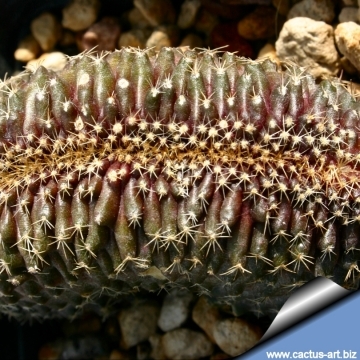 It is s fascinating crested Copiapoa sought after by cactus impassioned. This cultivar is stable and remain crested. 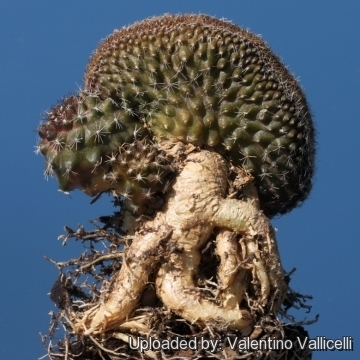 The standard species is a geophytic cactus arising from a large tuberose root that can slowly branch from the base to form small clumps. 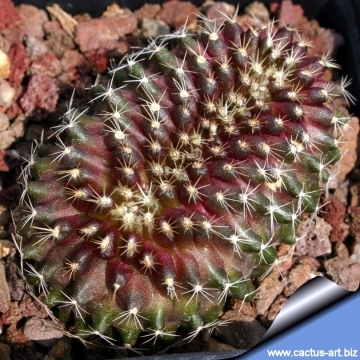 Habit: The standarCopiapoa tenuissima is a single or clustered succulent plant, usually at or slightly below soil level. Stems: Fun shaped, up to 5 cm in width, dull-green, dark olive green, to almost purplish-black. The stem is tubercled rather than ribbed stem and the slightly felted apex can be regarded as persistent juvenile characters. Roots: Large tuberose connected to the stem by long slender neck. Seedlings naturally produce the huge tap root, starting from germination. Radial spines: Very thin (almost hairy), acicular, usually straight 8-14, 3-6 mm long, yellowish to blackish. Central spines: 0-1 (-2) 4-10 mm long. Fruit: Globose, green to maroon unusual for the genus by being woolly, a primitive characteristic. 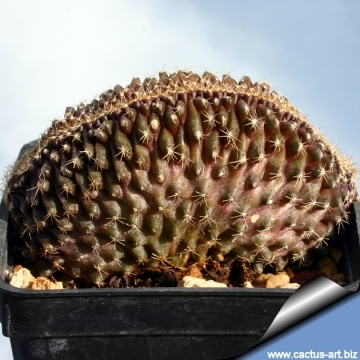 Propagation: Heads can be used as cuttings. They grow slowly at first until they develop the large tuberous root. Grafting is also used to speed growth rate and to create a back-up to plants in collection.